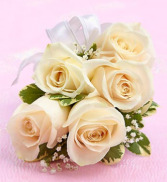 White sweetheart roses with fresh greenery and babies breath. Your color choice of ribbon or sparkle ribbon and silver or gold sparkles! 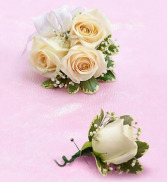 WHITE SWEETHEART ROSE CORSAGE WITH MATCHING BOUT! White roses fresh greenery and babies breath. Your color choice of ribbon or sparkle ribbon and your choice of gold or silver sparkles! 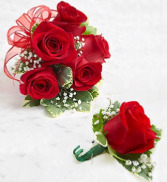 Red roses with Babies breath and greenery. Your color choice of ribbon or sparkle ribbon and silver or gold sparkles! YOUR COLOR CHOICE OF RIBBON AND SPARKLES! 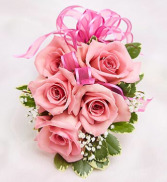 Pink sweetheart roses with fresh greenery and babies breath. Your color choice of ribbon or sparkle ribbon and gold or silver sparkles! Pink sweetheart roses with Babies breath and greenery. Your color choice of ribbon or sparkle ribbon and gold or silver sparkles! 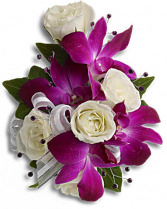 White sweetheart roses and purple Dendrobium orchid’s wrist Corsage is gorgeous and stunning! This also looks nice with the silver sparkle ribbon and silver sparkle tinting! 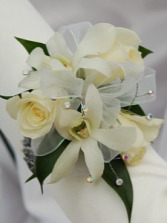 WHITE DENDROBIUM ORCHID CORSAGE WITH WHITE ROSES! 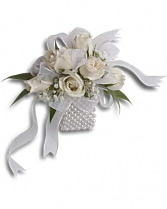 White dendrobium orchids and white fresh sweetheart roses together in one corsage with babies breath and fresh greenery! Your color choice of ribbon or sparkle Ribbon and silver or gold sparkles! Choose your orchid color and ribbon color! 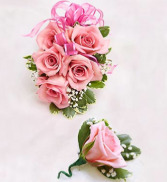 We can accent with the corsage with your color scheme! 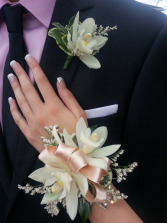 KEEPSAKE PROM CORSAGE AND BOUTINEER! 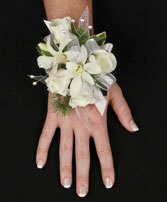 Corsages for prom and homecoming are our speciality! 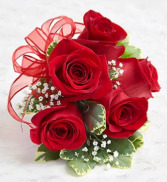 We can match the flowers and ribbons to your dress. 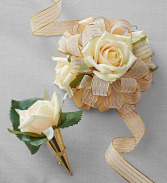 Your choice of rose color or orchid color and ribbon color! The $24.95 priced wristlet comes on a pretty iridescent band. The 32.95 priced wristlet is on the pearl band!